The Ethnic pattern motifs are transformed it in Indian style. 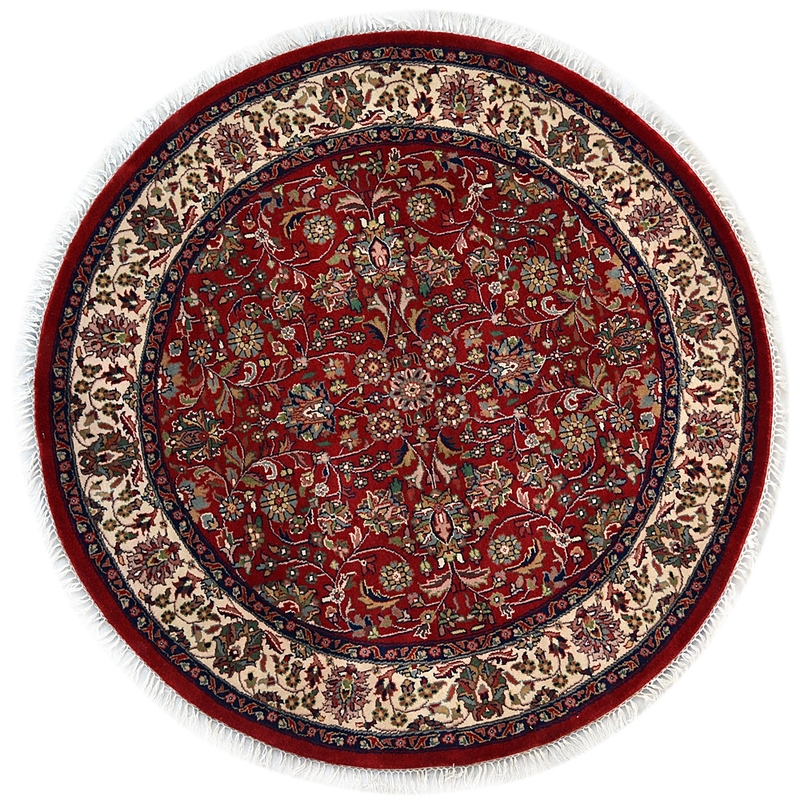 This beautiful handmade circular carpet is totally hand-woven in Pure New Zealand wool and finest quality of the cotton material. Wool is one of the most natural fabrics which are produced by sheep hairs. This is ideal for the high traffic area. Decorate your home with flowers motifs! Show off your living style by placing this magnificent floral rug. This is handmade in pure New Zealand wool and cotton material. It contains Kashan Design Pattern and kashan design has been originated from Persia in the 17th Century. This is the most famous design pattern of traditional carpets. This is highly durable and 100% hand-washable carpet so you can easily clean it at your home. Due to the vibrant colors, it is suitable for the high traffic area.